Christians in fifteenth-century Iraq and al-Jaz��ra were socially and culturally home in the Middle East, practicing their distinctive religion despite political instability. This insightful book challenges the normative Eurocentrism of scholarship on Christianity and the Islamic exceptionalism of much Middle Eastern history to reveal the often unexpected ways in which inter-religious interactions were peaceful or violent in this region. The multifaceted communal self-concept of the 'Church of the East' (so-called 'Nestorians') reveals cultural integration, with certain distinctive features. The process of patriarchal succession clearly borrowed ideas from surrounding Christian and Muslim groups, while public rituals and communal history reveal specifically Christian responses to concerns shared with Muslim neighbors. 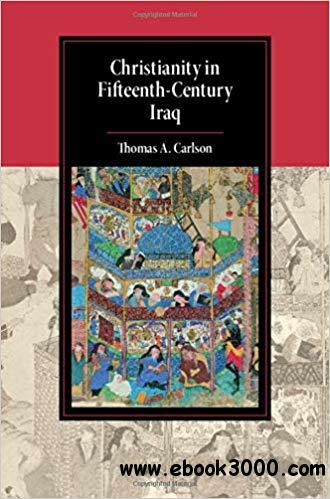 Drawing on sources from various languages, including Arabic, Armenian, Persian, and Syriac, this book opens new possibilities for understanding the rich, diverse, and fascinating society and culture that existed in Iraq during this time.